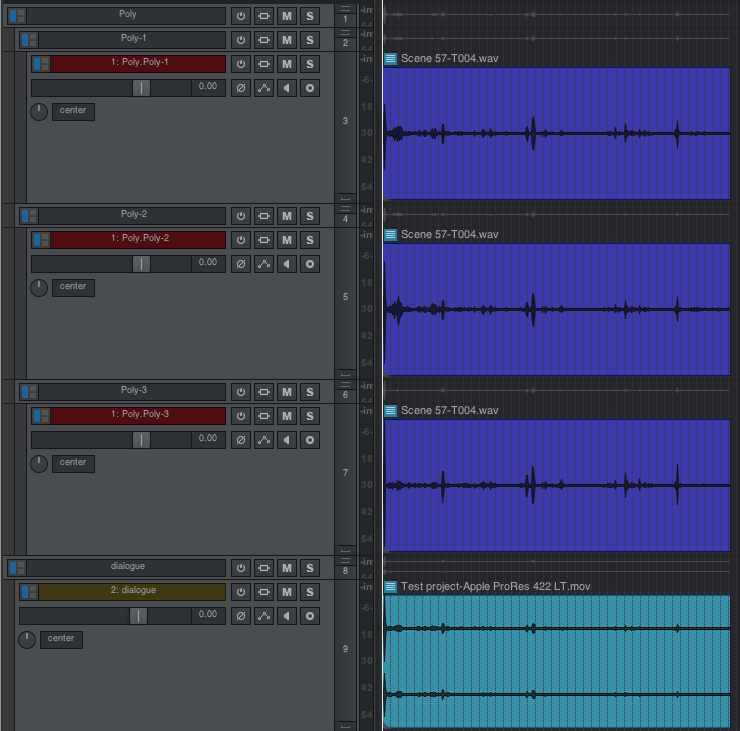 A license is only needed to generate the full timeline (longer than 3 minutes) at the sound editor’s end. There is no restriction on media collection at the NLE end. 1. A client can use the free version to pack up media (but RPP will be incomplete if longer than 3 mins). They should check nothing is left in queue as that means those items were offline. 2. They can zip up the folder (zip reduces the upload to about 60% size) to send you PLUS the XML. 3. You unzip the media folder at your end. 4. Put the XML next to the media folder. 5. Run Vordio again with your license on the XML to re-generate the RPP again. Vordio should now recognise the media is in the folder next to the XML and link that that. You should now have a new RPP that is complete and links. Vordio 5.5.3 is now available for download. This is a free update for all 5.x users. * Premiere XML: track names are now used when naming tracks (except when using condensed layout option). Vordio 5.5.2 is available for download. This release contains improvements & fixes to Final Cut Pro X XML translation. 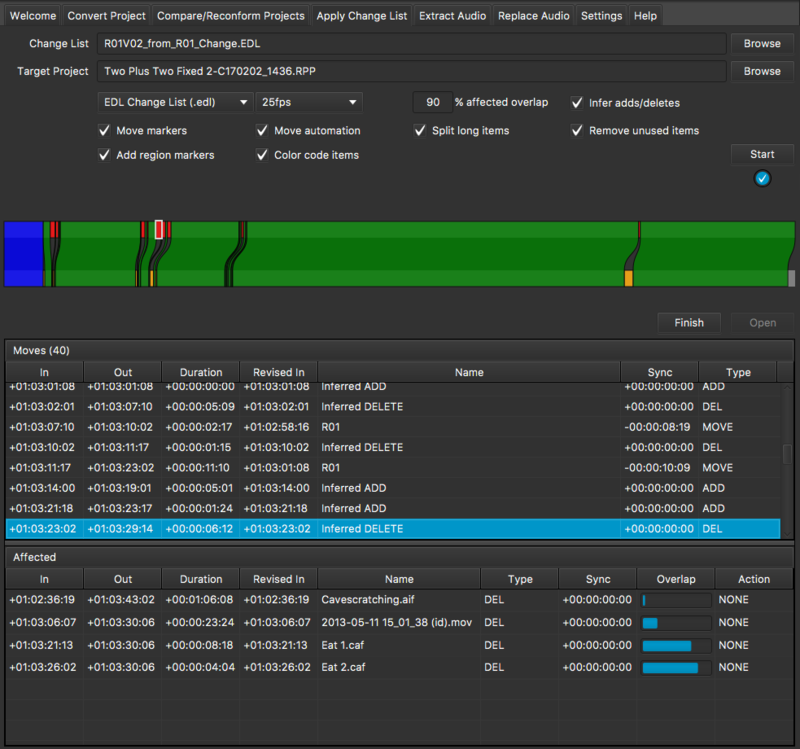 * Improved support for automation and fades on compound clips, multicam clips and sync clips. * New option “Nested folder tracks as subroles” that can be turned off to reduce track count if you have a huge number of subroles. * Fix for large multichannel files with 10 or more channels being mapped incorrectly. Vordio 5.5.1 is now available for download. This is a free update for all 5.x users. This update addresses fixes & enhancements to the “Apply change list” tool tab. * Items, points and markers that are out of range of the change list source regions are now ignored. This enables having multiple reels in a project but only reconforming the relevant reel. * Added option to remove unused markers (markers that could not be reconformed). Only markers will be removed currently, regions are still left. * The add regions checkbox is now observed correctly. * Added regions are now prefixed with “R:” This allows easy filtering of the reconform check list in the marker manager. * Fixed EDL parsing for change lists exported from Conformalizer. Previously only Ediload exports were supported. Vordio 5.5 now available for download here (or via the direct download button on Vordio). It is a free update for all 5.x users. * Optional search folder added to convert and reconform which is useful if media not in original location. Vordio 5.4 also introduced a new tool tab called “Apply Change List”. This allows you to apply a change list to a native REAPER project file (RPP). Supported change list formats are VCL (vordio change list) & EDL (edit decision list). NOTE: The new compare tool can be used to generate a change list if you do not already have one. A new compare tool has been introduced in Vordio 5.4. This tool allows you to compare two XMLs or EDLs to produce a region change list as VCL file (vordio change list) or an EDL file (edit decision list). The example below shows comparing the video clips from two XMLs from FCPX (Final Cut Pro X) to create a VCL format change list. A VCL file can then be fed into the “Apply change list” tool to alter a REAPER project or fed into my free hammerspoon script that can be used to apply the changes to various other DAWs on MacOS. The examples below use my hammerspoon script to automate applying the change list to other DAWs. PATCHES: Vordio 5.4.1 fixes a Premiere XML bug. 5.4.2 fixes a FCPX XML role filtering bug. 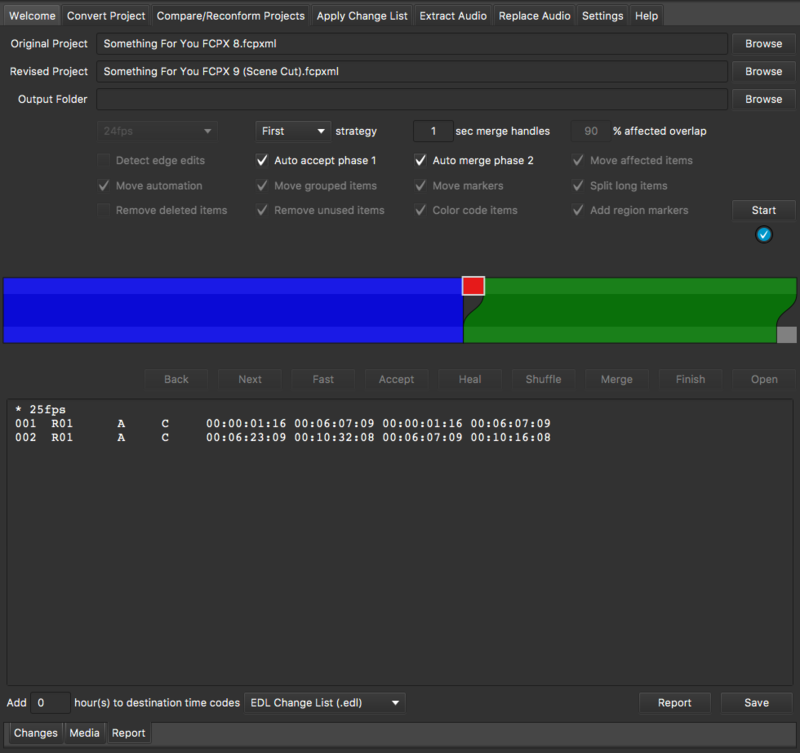 5.4.3 patches an XDCAM transcoding bug & a bug with the new “Apply Change List” tool. Vordio 5.4 is a big update with lots of new features & a couple of fixes. This update is free to all 5.x license holders. You can download it here, or using the direct download button in Vordio. The compare/reconform tab functions, just like before, as an item-based reconform tool when given an original RPP + a revised XML. But the tab now switches mode to a compare tool if given two XMLs or EDLs instead. Irrelevant reconform options are disabled in compare mode, and after hitting ‘finish’ it will produce a region-based change list (EDL or VCL) that can be saved. This change list file can be sent to someone else for use in other tools, or it can also be used in the ‘apply change list’ tool tab to apply those region changes to a REAPER project. Vordio 5.3.3 is now available to download. 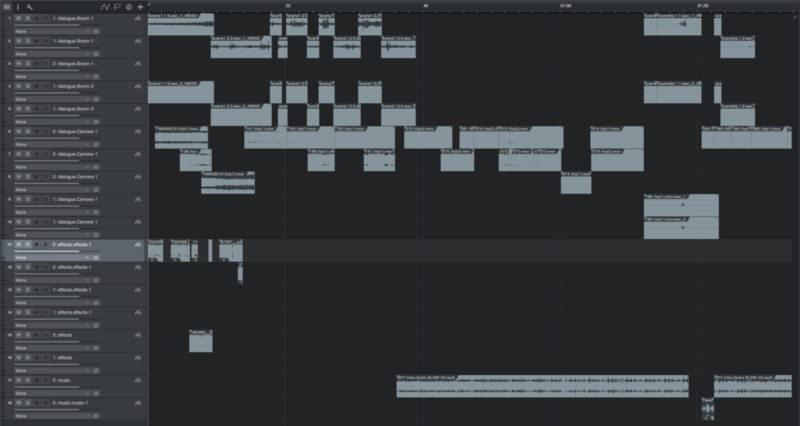 * Missing audio from synchronized clips from Final Cut Pro X. * Missing audio from DNG footage from Davinci Resolve. Vordio 5.3.2 is available for download. This is minor release to fix an urgent bug and improve support for OpenTL & AES31 formats. Read this post for more info on what new major features are in the 5.3 release.